Steffon is also a professional stand up comedian who has performed on national television with six season appearances on BET’s Comicview and has also performed at the Essence Music Festival with Steve Harvey and Cedric the Entertainer. Steffon has always been a visionary and is the creator and CEO of Soulfunny Entertainment which focuses on Christian Family Entertainment including the Soulfunny Comedy Tour, the Soulfunny Comedy Cruise through Royal Caribbean, The Soulfunny Cares Foundation and the nationally syndicated radio show The Soulfunny Radio Show, which airs on over 54 radio stations throughout the country, which Steffon is the Host. Two of his proudest accomplishments to date was being asked to perform at MegaFest hosted by Bishop T.D. Jakes and being the only radio show with a live broadcast at the TD Jakes Pastors and Leadership Conference in 2014. Steffon gives his time, his gifts, his talent and finances to those in need. Steffon has provided mentoring to youth in church as well as to the men at homeless rehabilitation centers. 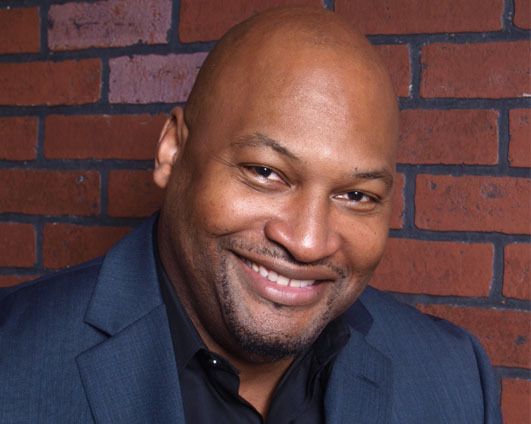 Steffon along with his wife Tonya produce comedy shows for local and national communities bringing family friendly comedy to churches and organizations around the country. Their philanthropist efforts focus on supporting homelessness charities that focus on rehabilitation and food pantry relief for families. Steffon also donated almost 20 practically new suits to for men in need of professional clothing and during the 2017 holiday season purchased new shoes and jackets for over 20 individuals and families in need. Steffon brings joy and laughter to those around him and his favorite quote is of the late Dr Martin Luther King Jr. “If I can help somebody as I pass along, if I can cheer somebody with a word or song, if I can show somebody he’s traveling wrong, then my living will not be in vain”. Steffon celebrates his 10 year wedding anniversary this November with Tonya Vann and they are blessed with having a blended family of 6 beautiful children: Devyn 22, Jasmine 20, Tyler 12, Isaiah 11, Stefanie 8, and Steffon Jr (SJ) who’s 7.